The Padmanabhaswamy temple is located in Thiruvananthapuram, the capital city of Kerala, India. The temple is dedicated to the God of Proprietorship, Lord Vishnu. The reverential seat of the lord is built with his avatars being present also namely Matsya, Kurma, Baraha, Narasimha, Vamana, Parshuram, Rama, Krishna, Balaram, Buddha and Kalki. Apart from them deities of Balaram, Hanuman, Sita and many other from Vaishnava sect are present along with the Lord's carrier Garuda and humble follower Narada. 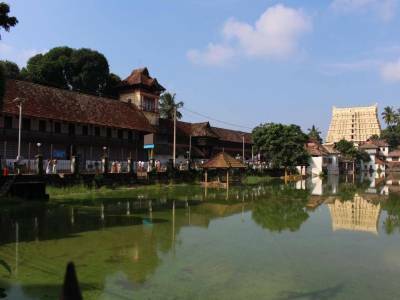 The Padmanabhaswamy temple, however, has very strict rules for its entrance. Only the principal flowers of Hindu faith are allowed to enter the temple complex only with the temple dress code. According to the puranas, the place became a sacred temple of Lord Vishnu because during the Mahabharata mythological period it is believed that Lord Balaram visited Phalgunam (Thiruvananthapuram), bathed in Padmatirtham and offered ten thousand cows to sages as holy gift. From that point onwards the temple was established. But historically it is believes to be constructed during Sangam Tamil period but the truth is lost in antiquity. The temple is built with mixed art of Kerala architectural style and Tamil architectural style. The supreme deity of lord Vishnu is sculpted in the holiness' yogic sleep form of Ananta Shayam in the serpent bed of Adisheshnag. 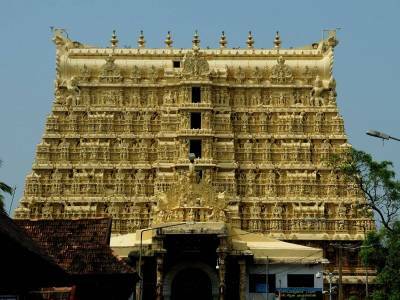 The titular trustee of the Padmanabhaswamy temple is king of Travancore and is believed to have constructed the modern temple during 16th century A.D. The great mystery that shrouds the temple is the existence of limitless riches inside it. During excavation of the inner sanctum of the temple as many as six old vaults were unearthed out of which many of the hold riches of unimaginable value like gold coins, jewelleries, gems & diamond, trinkets & relics and many more. The Vault B is still a mystery. 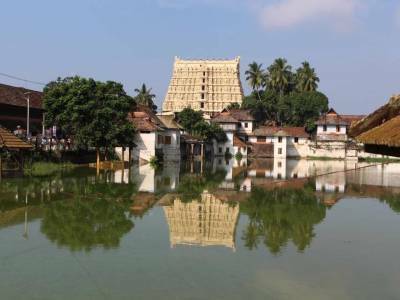 For this reason some consider the Padmanabhaswamy temple being the El Dorado of India. As a tourist spot it is a great place of cultural heritage but with some restrictions. 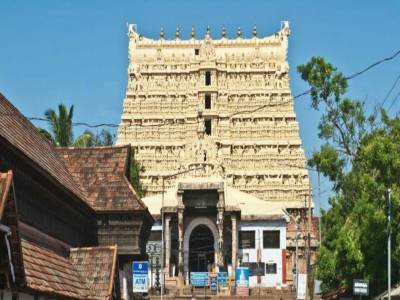 The Padmanabhaswamy temple is easily accessible as it is located at the heart of the city Thiruvananthapuram. Airway, railway and roadway all are easily available in vicinity. 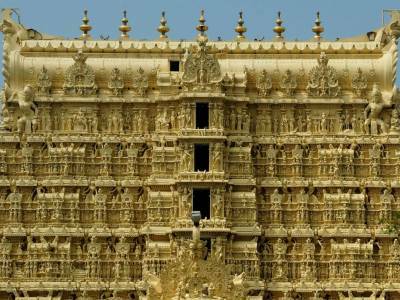 Get quick answers from travelers who visit to Padmanabhaswamy Temple.